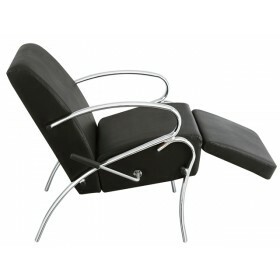 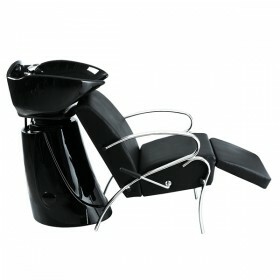 This shampoo chair has smooth black upholstery and shiny chrome legs fashioning a super sleek style. 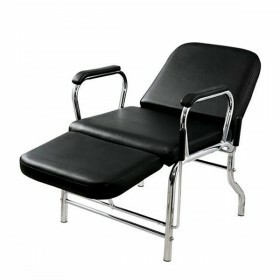 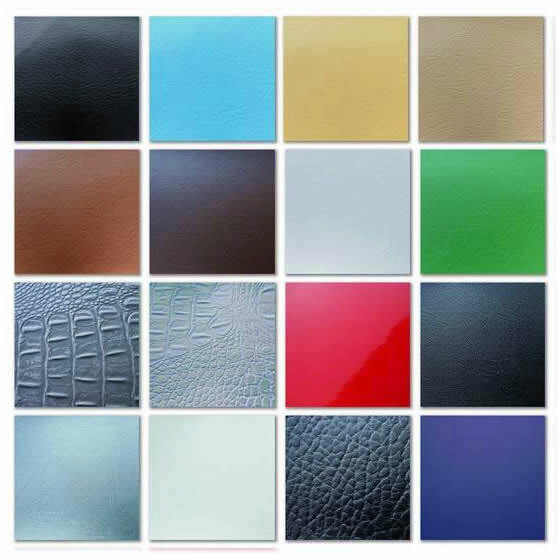 The chair's padding is formed by high density foam molded into the reclined shape, slanting up towards shampoo bowls of your choice. 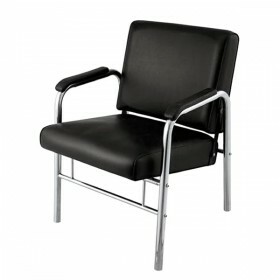 The "KAMA" chair has a strong support frame making the chair durable for many years and its design is space conscious that offers practicality for all types of hair stylists.